September is here and our group decided this would be a good month to do another full month of our 30 Days of Colour Challenge! The idea is to swatch 30 polishes in 30 days to work through some of those untrieds, but people are also welcome to do nail art if that's more their style! 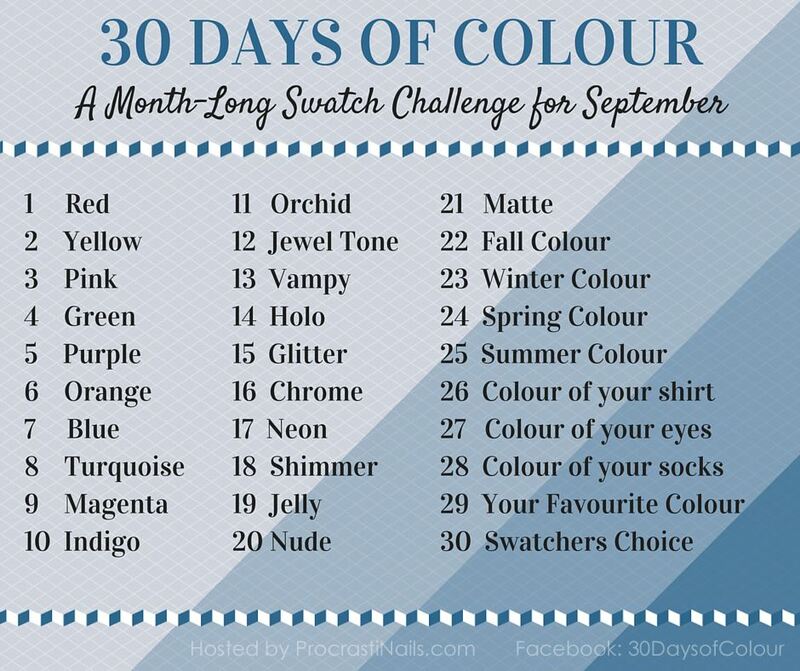 Lots of fun prompts this month so I can't wait to see what everyone puts together. 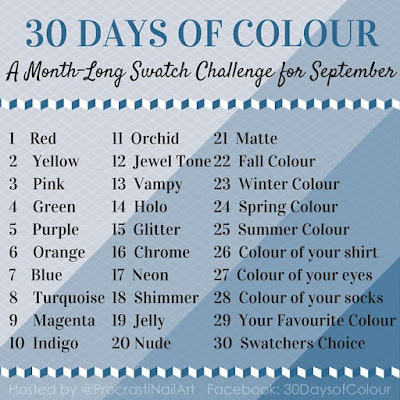 - Challenge starts September 1st and everyone is welcome to participate! All link-ups are open until the end of the month so it's okay if you need to play catch-up! - This is a casual challenge so you can take part in as many or as few fills as you want. - Feel free to grab the graphics above or below to use in your posts or to share across social media - the more the merrier! Can't wait to see all your posts for this challenge!